In life, there are those moments, both happy and sad, that are etched in your mind and vividly retrievable at any time. For me, one of those moments is the first time I learned about the word CANCER. I was seven. My mom had been recovering at home from what my parents described as “a little procedure.” I saw a brochure and VHS sitting by the TV with this CANCER word on it, and somehow, I instinctively knew it was a bad word that was going to change our family forever. My mother was diagnosed with breast cancer at 35. After a lumpectomy and radiation, she was in remission, and my family felt lucky, like we met cancer and won. However, four years later, she started experiencing some abnormal bloating and discomfort. It took almost a year, but my mom was eventually diagnosed with Stage 3 ovarian cancer. She underwent surgery and weeks of hospital recovery before beginning seven long months of chemotherapy. Each treatment was followed by a week of flu-like symptoms. As a child, I remember lots of time at others houses, the hospital, and my mom being very sick but never complaining. As a mother now, I can barely get through a 24-hr stomach bug while also parenting, so I cannot imagine how incredibly hard it must have been to be a mother and undergo such long and painful treatment. 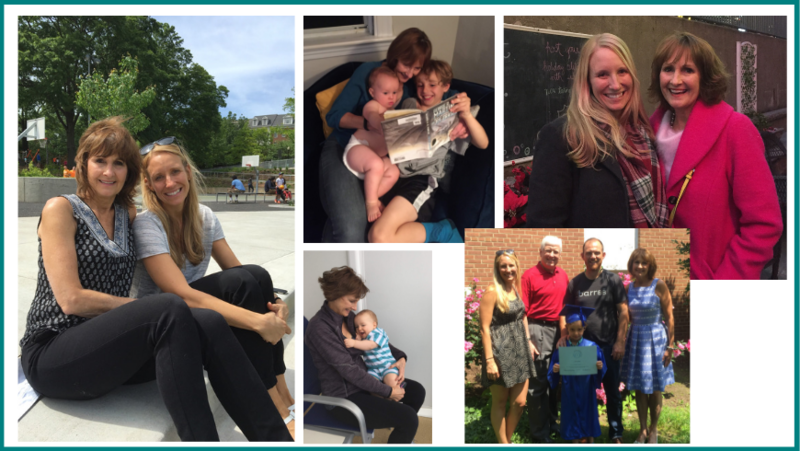 My mom found herself in remission again, but as is so common with ovarian cancer, she then experienced two recurrences – each four years apart, and each followed by surgery then chemotherapy. As a teen and young adult, I remember approaching this cyclical four-year deadline with dread, just hoping maybe this time my mom would be spared. To cap it all off, in 2007, four years after her last recurrence of ovarian cancer, my mom was diagnosed with translateral breast cancer, meaning this cancer was in the opposite breast and unrelated to the breast cancer nearly two decades before. Again, surgery and treatment followed. After what seemed like a never-ending two decades of cancer, my mother has been cancer-free for nearly twelve years. Ovarian cancer is a terrible disease. You can google the recurrence and survival rates – they are heartbreaking. My family feels lucky and blessed, like my mom is truly the unicorn. If you ask her how she made it through all the hard times, she would likely tell you it was her faith and her bucket list, which is exclusively comprised of my life’s milestones. In those early years, it was exclusively to see me graduate high school. When she checked that off, it was to see me graduate from college and then law school. Then it became to attend my wedding and to meet her grandchild, and now she has met two. Unfortunately, there are so many other mothers and daughters faced with this disease who won’t share my mom’s bucket list of milestones. For almost 20 years I’ve asked my OBGYN every year about my screening options for ovarian cancer, and the response has been consistent. There’s really nothing proven effective. Until there is an early detection test for the disease, we must rely on being our own self advocate and contact our doctor when we feel any of the vague symptoms like bloating, abdominal pain, loss of appetite, or frequent urination for more than two weeks. Women who have a family history of ovarian or breast cancer should also consider genetic testing. Genetic testing can provide information about just how high a family member’s risk of ovarian cancer may be, but that information carries a lot of challenges with it. My mom and I waited quite a while to be tested. 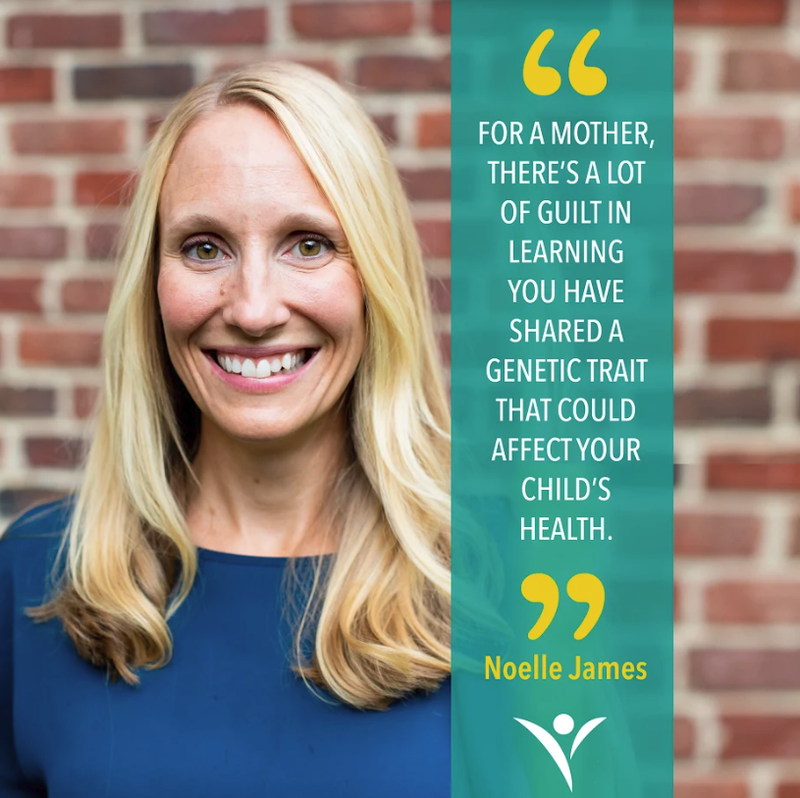 For a mother, there’s a lot of guilt in learning you have shared a genetic trait that could be a death sentence for your child. My mom felt that when she learned she was BRCA1 positive. For me, for many years I wasn’t ready to make life altering decisions, like ovary removal, that I felt I’d be faced with if I knew that I shared this genetic trait. At 35, the age my mom first learned she had cancer, I decided it was time to be tested and I learned that I did not share my mother’s genetic trait. A huge burden of fear was lifted for me and my mother. But the flip side is that I am still in a higher risk pool as a result of my family history, and there’s very little I can do except notice changes in my body – changes that could likely mean the cancer had already developed beyond early stages. 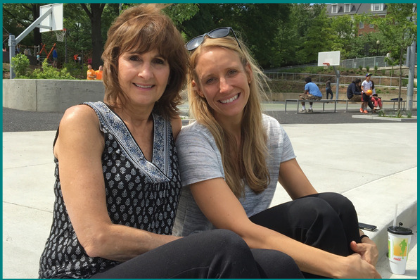 Since beginning her journey, my mother works with an organization in Ohio that provides support and resources for women who are faced with learning they do have genetic traits associated with ovarian and breast cancer. These women, called “previvors”, face difficult decisions about what to do with this knowledge, often whether and when to remove their ovaries. But what these women really need – what I need, what all of us need – are early detection options. Noelle James was the keynote speaker at the 2018 Tina’s Wish Richmond Gathering. CLICK HERE to check out the recap video.